Good for Metal Applications (12 - 16 gauges). Yellow Zinc is for interior use or dry areas. is for exterior use, treated lumber, and damp or wet areas. 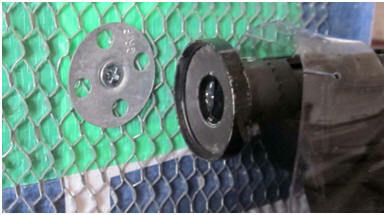 Ballistic NailScrews® can be used with 1¼” dia. 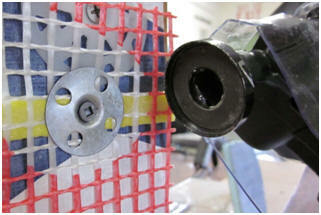 Grip-Plate® lathing washer fasteners for metal or fiberglass lath in stucco, stone veneer, and masonry applications. Magnetic nose adaptors are available for specific UFO tools which hold the washer in place for rapid installation.